Frank Lloyd’s 1935 adventure-at-sea, Mutiny on the Bounty, starring Charles Laughton, Clark Gable and Franchot Tone, arrives on Warner Bros. Blu-ray today. Inspired by historical events, the movie details a mutiny led by Fletcher Christian (Gable) against the captain of the Bounty, William Bligh (Laughton). Winner of an Academy Award for Best Picture (the category officially deemed Best Outstanding Production), Mutiny on the Bounty was also nominated for Best Director, Best Film Editing, Best Music (score), and Best Writing, as well as nods for the three leading men (all nominated for Best Actor in a Leading Role, as the Academy would not have a Supporting Actor/Actress category until the following year). The film was based on a 1932 novel by Charles Nordhoff and James Norman Hall, and was remade in 1962, directed by Lewis Milestone (who also helmed 1960’s Ocean’s 11) and starring Marlon Brando as Fletcher Christian and Trevor Howard as Capt. Bligh. Preceding Lloyd’s movie, there were two Australian films produced based on the incident on the Bounty: a 1916 silent film, The Mutiny of the Bounty, that reportedly has no existing prints; and 1933’s In the Wake of the Bounty, which features Errol Flynn in his screen debut as Fletcher Christian. In 1984, The Bounty was released with Anthony Hopkins as Bligh, Mel Gibson as Christian, Laurence Olivier as Admiral Hood, and early performances from Daniel Day-Lewis and Liam Neeson. 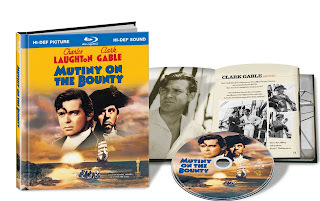 The Mutiny on the Bounty Blu-ray displays sharp, sublime black and white cinematography and an impressive hi-def soundtrack. Considering the film’s age, the images and audio are worthy of praise, and the entire presentation looks and sounds admirable. The single-disc release is packaged in a handsome book format, loaded with publicity stills and trivia. 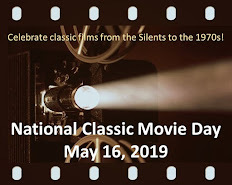 Extra features include an MGM short, “Pitcairn Island Today”, 1936 newsreel of Frank Capra presenting the Oscar to producer Irving Thalberg (who gives a brief word of thanks), and trailers for the film and the 1962 remake. Mutiny on the Bounty in hi-def would make a great gift for the upcoming holidays! For details on the movie and its production, check out Kim’s Cafe write-up here. For more information on the new release, you can visit the Warner Bros. Blu-ray site. Sark, thanks for highlighting the new Blu-ray of this 1935 classic. It sounds like a must-have for the film's fans and a worthy addition to any movie buff's library. Flynn's IN THE WAKE OF THE BOUNTY is one of those films I've always wanted to see and apparently never will. 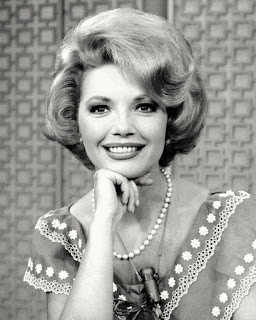 I thought the 1962 had its moments, but was pretty uneven. To my surprise, THE BOUNTY was actually pretty interesting. Interesting post, Sark. I wish I had Blu-Ray, especially for this one. What a fabulous collection of Bounty stuff. Like Rick, I've never been able to see Flynn's movie. Hopefully one of these days I'll be able to catch up on the technology and get Blu-Ray!